Long term care support services have outpaced the 2.1% U.S. inflation rate1 from 2017-2018. Over 15 years, all care settings have seen increases in cost ranging from 19% to 67%. RICHMOND, Va., Oct. 16, 2018 — Living longer has its advantages, but it also increases the likelihood of needing long term care2, a proposition that is getting more costly with every passing year. 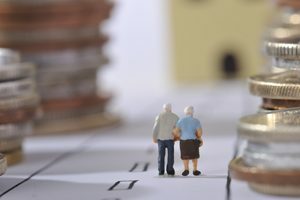 According to the 15th annual Genworth Cost of Care Survey released today, the blended annual median cost of long term care support services has increased an average of 3 percent from 2017 to 2018, with some care categories exceeding two to three times the 2.1 percent U.S. inflation rate. The annual median cost of care now ranges from $18,720 for adult day care services to $100,375 for a private room in a nursing home. Between 2017 and 2018, assisted living facilities increased the most at 6.67 percent, followed by a semi-private room in a nursing home at 4.11 percent. Based on the five-year compound average growth rate (CAGR), the largest increase occurred within the nursing home facilities category at over 3 percent. The shortage of skilled workers. It’s a simple case of supply and demand: With demand outpacing the supply of workers, caregivers know they can demand more and companies are willing to pay more for the best workers. Also, fewer caregivers mean more overtime, which means consumers pay more for care. Higher minimum wages and changes in overtime pay rules.Difficulty attracting and retaining qualified workers. The increasing incidence of Alzheimer’s Disease and dementia, which is increasing the need for more specialized care – and higher hourly wages. For 15 years, Genworth has been studying the cost of care through its annual survey, providing families with the information necessary to make plans and decisions for how they want to receive and pay for care as they grow older. During the 15 years of the Cost of Care Survey, the cost of long term care in assisted living facilities has increased 67 percent and private nursing home rooms have increased 54 percent5. By comparison, a private nursing home room now costs 1.6 times the national median annual household income, which was $62,685 in August 20186. While facility costs have trended upwards, the annual cost of in-home care has remained relatively flat over the life of the study. It is only in recent years that home care costs have risen at a higher pace than previous years, increasing 19 percent for a home aide and 26 percent for homemaker services since 2004. Download Genworth’s Cost of Care App from iTunes. 3Online discussions with long term care providers across all care settings in key geographical locations, conducted for the 15th anniversary of Genworth’s Cost of Care Survey by J&K Solutions, LLC, September 2018. 4Genworth’s Cost of Care Survey, conducted by CareScout®, 2016-18. 5 Genworth’s Cost of Care Surveys, conducted by CareScout®, 2004-18. 6 Household Income Trends, August 2018, by Gordon Green and John Coder, Sentier Research, LLC, September 2018. Genworth’s annual Cost of Care Survey, one of the most comprehensive studies of its kind, contacted more than 49,000 long term care providers nationwide to complete 15,000 surveys for nursing homes, assisted living facilities, adult day health facilities and home care providers. The survey includes 440 regions based on the Metropolitan Statistical Areas, defined by the Office of Management and Budget, and include approximately 85 percent of the U.S. population. Genworth annually surveys the cost of long term care across the U.S. to help Americans plan for the potential cost associated with the various types of long term care available in their preferred location and setting. The survey also provides state-specific cost of care data for all 50 states and Washington, D.C., and comparison to the national median. Genworth’s 2018 Cost of Care findings also highlight the 15 year tends in care costs as measured in the Cost of Care data over the last 15 years. CareScout®, part of the Genworth Financial family of companies, has conducted the survey since 2004. Located in Waltham, Massachusetts, CareScout has specialized in helping families find long term care providers nationwide since 1997. From time to time, Genworth releases important information via postings on its corporate website. Accordingly, investors and other interested parties are encouraged to enroll to receive automatic email alerts and Really Simple Syndication (RSS) feeds regarding new postings. Enrollment information is found under the “Investors” section of genworth.com. From time to time, Genworth’s publicly traded subsidiaries, Genworth MI Canada Inc. and Genworth Mortgage Insurance Australia Limited, separately release financial and other information about their operations. This information can be found at http://genworth.ca and http://www.genworth.com.au.